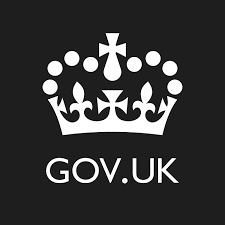 Mike Bracken of the UK Government Digital Service gives his opinion in a recent post about agencies that are trying to implement a combination of agile and waterfall styles in their processes. There is a place for both methodologies, Bracken maintains, but waterfall project management is better suited to roads and bridges than government digital services. The main reason for this is that digital services, unlike infrastructure, are never really finished — they are ongoing and live, requiring maintenance and updates constantly. True, pure Agile processes are the best way to make sure services are always meeting user needs. Being agile doesn’t mean you give up on governance or deadlines. The idea that agile somehow “needs” a waterfall-type methodology to give it control and governance is nonsense. When you work in an agile way, governance is built into every step of what you do. You build and iterate based on ongoing user research. You build what users need, not what you guessed might be a good idea before you even started building. That means spending money throughout the lifecycle of a service. Not throwing a lot of money at a project upfront, without knowing if it’s going to be useful. Or not. Agile accepts that the scope of the project will change over time. And we know that will happen in government. We know the thing we start working on will not be the same as the thing we get at the end. Requirements will change, budgets will change, the scope will change. Agile lets us deal with all of that, efficiently and gracefully.